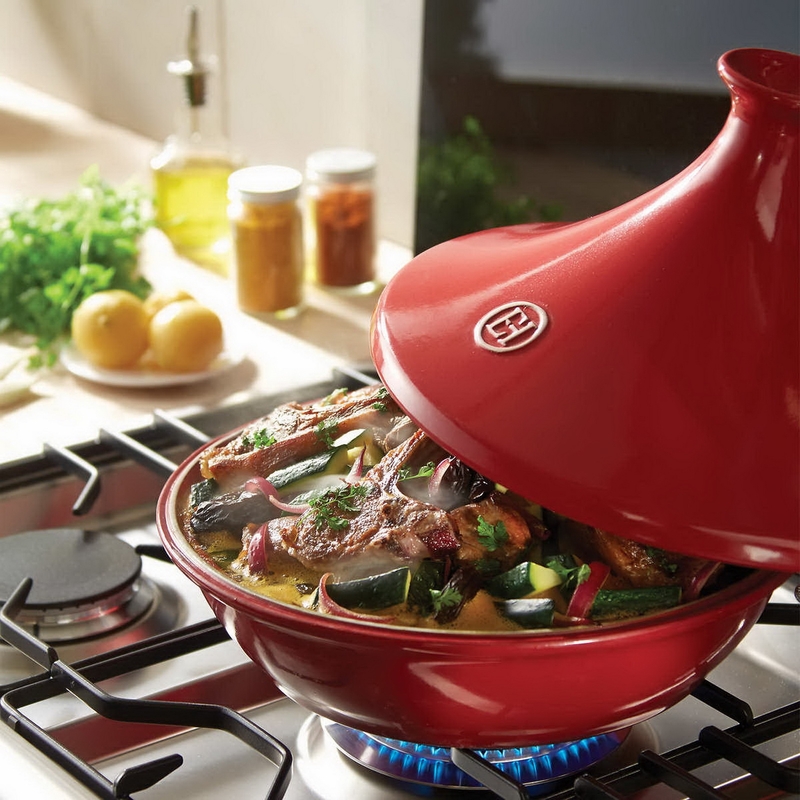 This traditional Moroccan cooking vessel is the perfect shape for making savory, slow-cooked meat, fish and vegetable dishes. 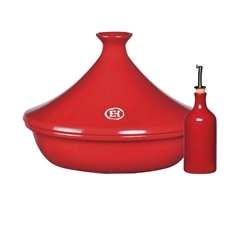 Made in France from all natural Burgundy clay, this Tagine is safe to use on the stovetop, barbecue grills or in the oven. Slow cooking brings out the best flavors! The oil cruet brings style and color to your table; providing an easy-flow spout with a continuous and controllable stream of oil. Also designed from Burgundy clay, this attractive cruet seals out damaging light and helps keep oil cool, thus preserving its flavor. 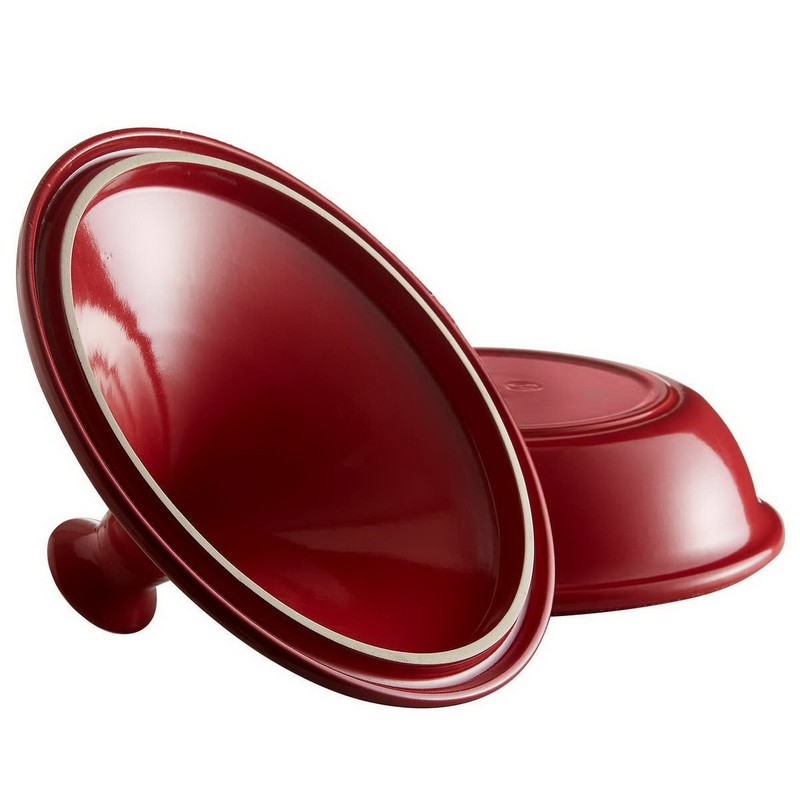 Safe to use in the oven, on top of the stove or on the barbecue grill. Made of all natural materials and manufactured using Emile Henry's proprietary Flame technology*. 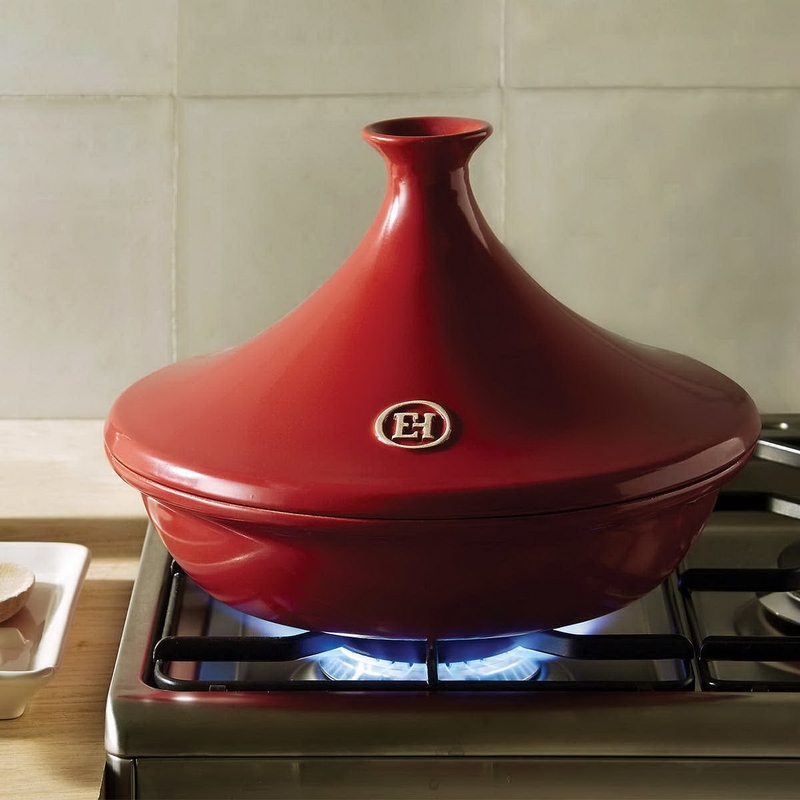 Tagine is 13 x 13 x 8 inches. Oil cruet is 3 x 3 x 6.9 inches. Dishwasher Safe or hand wash with soap and water.